He finds a secret message inquiring about a dangerous substance called Dust--and the spy it was intended for finds him. When she asks Malcolm to keep his eyes open, he sees suspicious characters everywhere: the explorer Lord Asriel, clearly on the run; enforcement agents from the Magisterium; a gyptian named Coram with warnings just for Malcolm; and a beautiful woman with an evil monkey for a daemon. All are asking about the same thing: a girl--just a baby--named Lyra. Philip Pullman was born in Norwich, England, in 1946. He attended Exeter College and later taught at Westminster College, Oxford, the setting for several of his books. He is the acclaimed author of the His Dark Materials trilogy: The Golden Compass, The Subtle Knife, and The Amber Spyglass. His other books for children and young adults include Count Karlstein and a trilogy of Victorian thrillers featuring Sally Lockhart. The Golden Compass, the first of Pullman's His Dark Materials trilogy, won the Carnegie Medal and the Guardian Fiction Prize. Pullman was named one of the "50 Greatest British Writers Since 1945" by the London Times, and a BBC poll listed him as the "11th Most Influential person in British Culture." Multiple stage and screen adaptations of his books have appeared, including a film of The Golden Compass starring Nicole Kidman, Ian McKellan, and Daniel Craig. 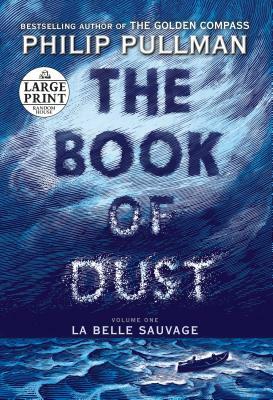 A companion trilogy, entitled The Book of Dust, is being published in October 2017.